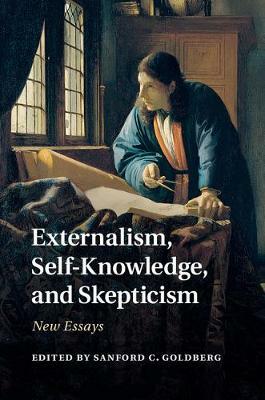 Written by an international team of leading scholars, this collection of thirteen new essays explores the implications of semantic externalism for self-knowledge and skepticism, bringing recent developments in the philosophy of mind, the philosophy of language, and epistemology to bear on the issue. Structured in three parts, the collection looks at self-knowledge, content transparency, and then meta-semantics and the nature of mental content. The chapters examine a wide range of topics in the philosophy of mind and the philosophy of language, including 2D semantics, transparency views of self-knowledge, and theories of linguistic understanding, as well as epistemological debates on contextualism, contrastivism, pragmatic encroachment, anti-luminosity arguments and testimony. The scope of the volume will appeal to graduate students and researchers in epistemology, philosophy of mind, philosophy of language, cognitive science, psychology and linguistics.